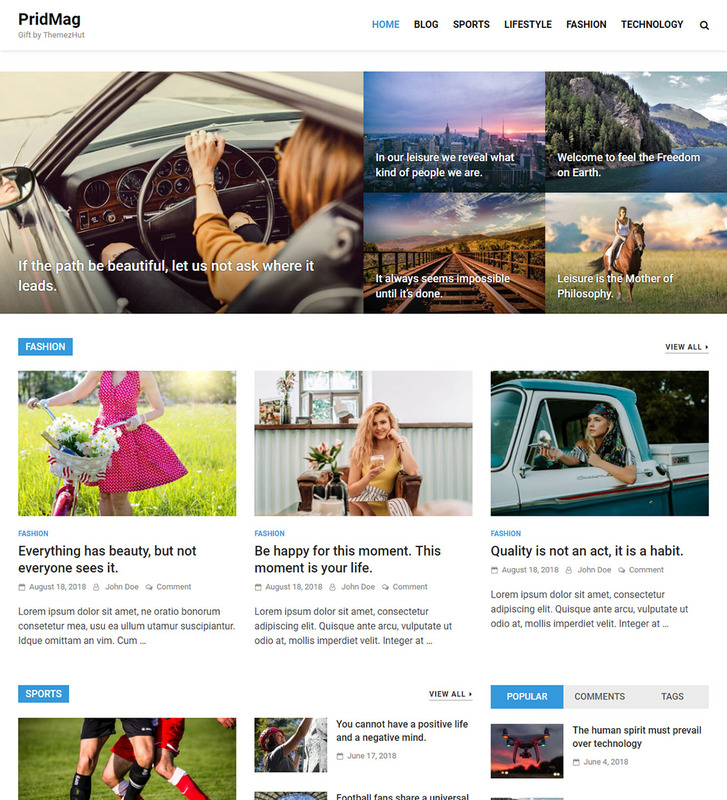 PridMag WordPress theme is a well crafted, fast and modern magazine theme which is perfect for all kind of publishing sites including magazine/news sites and blogs. PridMag has a handful of options to customize your site as you like. Presence your visitors a truly awesome browsing experience with PridMag. PridMag WordPress theme has included a featured content widget to give a nice impression of your site and display important posts highlighted. You can display latest posts or latest posts from a category on this featured content widget. PridMag has provided four different layouts to list your blog posts. You can select your preferred layout from Appearance > Customize > Layout Options. Free version comes with a magazine homepage with five widget areas and five great posts widgets to display your posts in a categorized and organized manner. Around 75% of the users launch to the internet via mobiles according to sources. So you should make sure your site display properly in mobiles. PridMag WordPress theme is fully responsive. So no matter what is your reader’s reading screen size, your site will display nicely. Our number one responsibility is to provide secure, reliable and fast themes for users. Our themes including PridMag has built with the latest coding standards and practices. That is why our themes have been listed in WordPress.org. You can easily do tasks like upload logo, change background color/image, change theme color, change post listing layouts, add custom css, etc, just from the customizer without touching a single line of code. PridMag WordPress theme is licensed under General Public License like WordPress. Use it to make something cool, have fun, and share what you’ve learned with others.